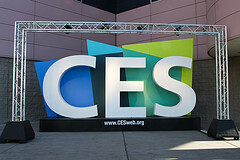 Last year I had a great time returning to CES after a really long absence. This year I couldn’t make it but luckily the coverage has been amazing and I almost feel as if I was there (minus hanging out with so many of my geek friends). Sure you probably heard about all the Android Tablets, Verizon’s 4G LTE stuff and other high profile announcements but I wanted to highlight a few things that I really liked that you may or may not have heard about. I was really excited when I heard several stories coming out of CES about partnerships between cable companies and hardware manufacturers to start allowing their content to be delivered directly to their devices. It appears that Time Warner will offer this soon to both Sony and Samsung devices. What’s even better is that it looks like there will also be support to get cable access on iPads and Android tablets. The Samsung TV’s that will have support are the D8000 series of which the UN65D8000 is the model I’m dreaming of. I’m so looking forward to consolidating hardware wherever possible in my home theater setup. On the Sony front my dream would be to use my PS3 to access Time Warner as well as use it as a DVR but no details of that type of functionality have been made available yet. Currently you can use an Xbox 360 to as a set top box for AT&T’s uVerse and here’s a video demo. Engadget did a nice writeup asking whether this is the year we ditch the cable box. Streaming your media to the web and other hardware devices has been around for a while but usually it takes quite a bit of work to set it up, it doesn’t always work right and usually only limited devices were supported. Also, there hadn’t really been a good solution for mobile devices. That’s all starting to change. I’ve recently started using Libox which streams my media to my iPad via an app as well as the web. Another similar one I haven’t tried yet is ZumoCast. You may be familiar with Orb Networks which already has a service that streams your media to iPhone, Android, the web, and a $99 hardware device. Well at CES they announced they will now release support for the PS3 and other Blue-Ray players with an app for $20. With all the different media devices out there I have yet to find anything that can match the power and flexibility of a PS3 with PlayOn and PS3 Media Server. Now by adding Orb or one of these other mobile device apps I truly can access my media anywhere. I’ve been a huge fan of the Logitech Harmony universal remotes over the last several years. You can use your computer to program these using macros to have simplify the setup of multiple devices in your home theater for different viewing activities. But now these dedicated devices that are costly to the point of reaching iPod touch pricing aren’t making much sense to buy. Especially since you can do so much more with mobile devices. I’ve been keeping my eye on the development of hardware and apps to offer universal remote features for the iPhone but they haven’t yet gotten great. Well at CES popular accessory maker Griffin announced a dongle free universal remote solution and app for iOS devices for $79. This sounds like it may finally be the universal remote device we’ve been waiting for. I also hope to see such developments on the Android platform as well. At CES Nike announced their new Nike+ Sportwatch GPS device that will record your running pace, distance route, heart rate, and calories burned. You can then upload the data to the nikeplus.com site to generate a history of your workouts. There are other devices in this area that can track our workouts. Some of the more popular ones are the Withings wi-fi body scale, Runkeeper fitness tracker, Fitbit fitness & sleep tracker. These are just some of the devices out there marking the start of many new ones we’ll continue to see being released in the near future to provide ways for lifelogging various aspects of our lives. I always keep my eye on developments in this area, hoping with excitement that I’ll soon see something cool announced when reading the eHomeUpgrade blog, I continue to wait. While nothing magical was announced at CES this year, there are some signs that things are starting to ramp up in this area. I was listening to TWIT interview someone from GE that was talking about many of the new technologies they were showing at CES. He discussed smart meters you can put in the home to monitor power usage and other functions. There was also a home automation device from HomeSeer to control your thermostat, appliances, lights, and window shades. Then also in keeping with the pattern of wanting more functionality in my mobile devices there were announcements from Somfy and Verizon showing home automation controls that can be done on an iPad as well as the web. I’m telling you pretty soon we will be running everything in our house with a tablet. I remember last April Fool’s day drooling over this gag product on ThinkGeek thinking OMG I would actually buy one of those. Well our dreams have come true. ThinkGeek must have gotten some huge response from it because they were showing the iPad iCade at CES. I can’t wait to get more info on this and I’m pretty damn sure my $99 bucks will be rushed to them as soon as this thing comes out.